Unilever, Mars and Kellogg’s have cancelled contracts with the IOI Group, after the major Malaysian palm oil trader was suspended by the Roundtable on Sustainable Palm Oil (RSPO) for destroying forests and peatlands in Indonesia. The IOI Group is one of the largest companies to have lost RSPO certification since the roundtable was formed in 2004. The decision will be seen as a test of consumer company policies on responsible sourcing of palm oil, which commit major brands to excluding suppliers responsible for deforestation and peatland drainage. Unilever, one of the world’s largest buyers of palm oil, is the first company to publicly distance itself from IOI and to suspend purchasing. Other brands will be under increasing pressure to follow its lead. 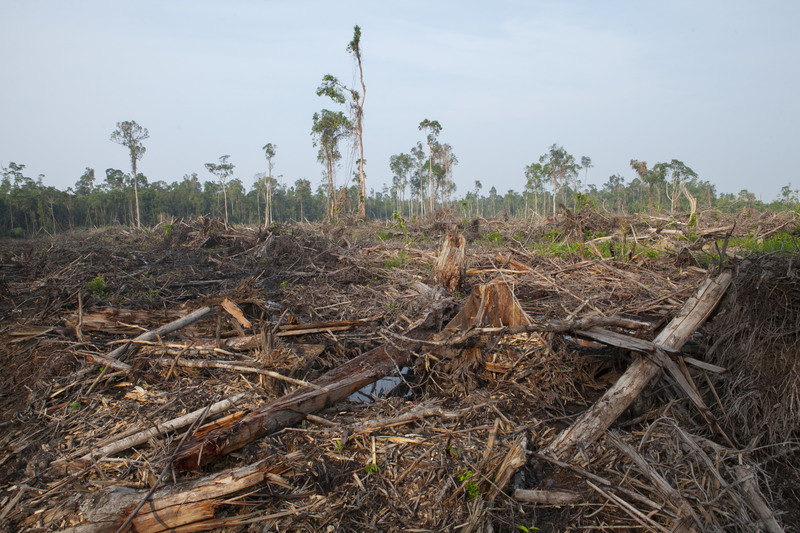 The decision to suspend IOI’s certification comes after years of exposes by various environmental organisations revealing the systematic destruction of forests and peatlands in West Kalimantan, Indonesia. The complaint which led to the RSPO’s decision was raised in March 2015 by sustainability consultants AidEnvironment and described a series of violations by IOI of the roundtable’s criteria for responsibly produced palm oil. It also cited breaches of Indonesian law, as well as the company’s own policies on responsible palm oil production. The result has been the loss of large areas of orang-utan habitat and carbon-rich peat stocks. IOI is a major supplier of palm oil to a number of high-profile consumer goods companies, including Unilever, Mars, and Mondelez. These companies have their own policies governing how they source palm oil and its derivatives, many of which have higher standards than those of the RSPO. It remains to be seen what action companies will take in light of the RSPO’s decision. The case against IOI has been building for several years, as researchers have documented the systematic destruction of an entire peatland landscape in West Kalimantan. In 2008, it was named in a Greenpeace report for destroying forests and peatlands in Borneo, including areas of orangutan habitat. Two years later, Friends of the Earth documented numerous instances in which IOI had breached its own policies, RSPO certification criteria and Indonesian law. This study focused on the three concession areas in Ketapang which later formed the basis of the complaint brought by AidEnvironment. In one concession allocated to IOI – PT Bumi Sawit Sejahtera – the company’s own survey described forest covering 90% of the area (although much of it was degraded) with significant peat deposits, and habitat suitable for orang-utans and proboscis monkeys. Yet satellite images and on-the-ground investigations have shown extensive deforestation and repeated fires, destroying areas identified as being of high conservation or carbon storage importance. This destruction has continued even after IOI committed to protecting all peat areas and forests identified as high-carbon stock. In another concession, IOI has admitted illegally occupying around 1000 hectares of land outside the concession boundaries. In addition, the RSPO’s history of weak criteria and weaker enforcement has raised concerns it will accept any promises made by IOI at face value, restoring certification without evidence that IOI will finally end its track record of deforestation and peatland clearance in West Kalimantan. A critical factor is IOI’s willingness to address this legacy by restoring peatland areas that it has drained and developed. Dry peat becomes extremely flammable, so rewetting peatlands is essential to prevent fires burning through large tracts of land as they did most recently in 2015. The previous action plans prepared by IOI have tinkered around the edges, addressing technical details while ignoring the fundamental issue: its wholesale destruction of valuable forests and peatlands. Until this and other issues are resolved, and IOI commits to restoring the carbon-rich peatlands and landscapes it has destroyed, it will be facing increasingly stringent sanctions from customers and trade bodies alike. This story was updated on 1 April to reflect Unilever’s announcement.